Now has never been a better time to learn how to ride a motorcycle. The Harley-Davidson Riding Academy New Rider Course gives you all you need to get your license on the road in no time. The Riding Academy at Motown Harley-Davidson is open to everyone, whether you currently ride a Harley-Davidson® motorcycle or not. Learn to safely accelerate, shift, brake, and turn, along with manoeuvres like controlling skids and surmounting obstacles. When you complete our programs, you receive a State Endorsement. 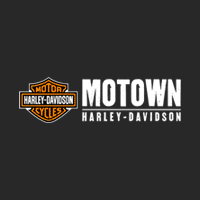 All tests are completed on-site with Motown Harley. Designed solely for experienced riders, this 10-12 hour 1-day course is taught by certified coaches and satisfies State of Michigan requirements. You’ll learn advanced tips and techniques to help you own the road. Control at low speeds, Risk management, Limited-space manoeuvres, Cornering judgment, Swerving and stopping quickly on straights and in curves, Multiple curve maneuvers and surmounting objects. 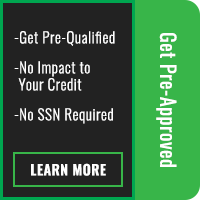 When you’re done, you’ll not only ride with more confidence than ever, you’ll earn your MSF RCSM 2 card and a Michigan endorsement for your M/C license that may qualify you for a discount on motorcycle insurance. New to 3-wheel motorcycle riding? No worries. The 3-wheel New Rider Course is your gateway to 3-wheeled freedom. It’s designed to give you the skills to ride with confidence, whether you’re a first-time rider or it’s your first time on three wheels. You will need a 3-wheeled motorcycle. The 3-Wheel New Rider Course is an entry-level, learn-to-ride 3-wheel motorcycle training and education course taught by MSF and Harley-Davidson Riding Academy Certified Coaches. Total course time is approximately 18-20 hours, including classroom instruction, riding exercises on a practice track, and a knowledge and skill test. If for any reason a customer cancels their reservation two weeks or more prior to their scheduled course, an in store credit of the appropriate amount will be issued. However, if you cancel after the two week deadline for any reason, a refund is not offered. Any refund will be in the form of an in-store credit. Each Class has a limit of 10 students. 3 Classes are available M-F 0800-1300 and 1730-2200 also Tues. and Thurs. 1800-2200 Sat. Sun. 0800-1700. Skilled Rider Course, (BRC2U) will be available within the same policy constraints. After start of class, no student substitutions are allowed. Each class consists of 2 nights/days of classroom and 3 days of range, (app. 15 hours), to be completed consecutively. Riding Academy® Coaches reserve the right to counsel on unsafe students which they deem unsafe to themselves, or others. If counseled on, no refund will be granted. At the point a rider begins the riding portion they may return at a later date at a cost of $150.00. Please keep in mind the written portion of the classroom is only valid for 60 days. No refunds or make up dates are offered to those who leave the class of their own free will or fail to show for a scheduled class without consent from the Riding Academy Manager. Riding Academy Management reserves the right to assist students with any unforeseen circumstances which may occur with notice.